Whether you are an UK-based sole trader, limited company, freelancer, contractor, or other types of business owner, it is important that you have a structured approach to your invoicing or you may lose track of what payments you are waiting for. Download our Excel invoicing templates and start create professional invoices and bills in seconds! As required by the United Kingdom government, such as Invoicing and taking payment from customers and VAT record keeping, an invoice should include certain information in order to be legally valid, depending on factors like whether you are VAT-registered. For VAT invoices, it could be full invoice, simplified invoice, modified invoice; and if you invoicing only for exempt or zero-rated sales within the UK, you don't have to issue VAT invoice. 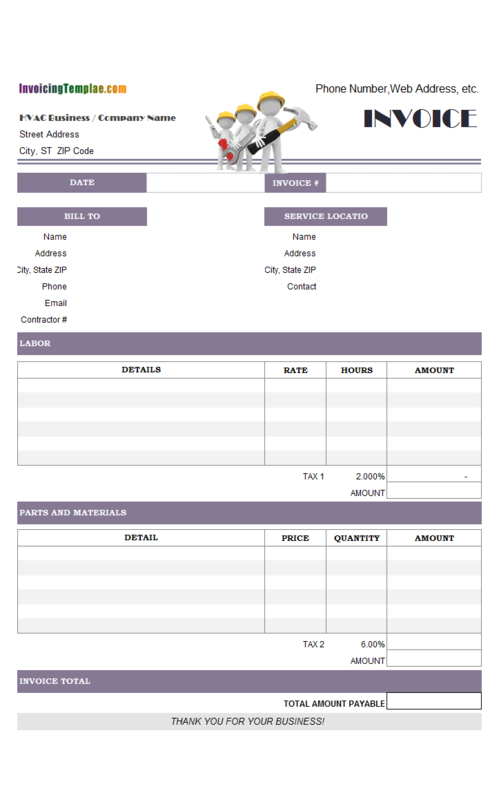 Here are our templates closely related to Free Invoice Template for UK - 20 Results Found. An updated version is available here on InvoicingTemplate.com, which implements a drop-down list for the VAT Rate column. 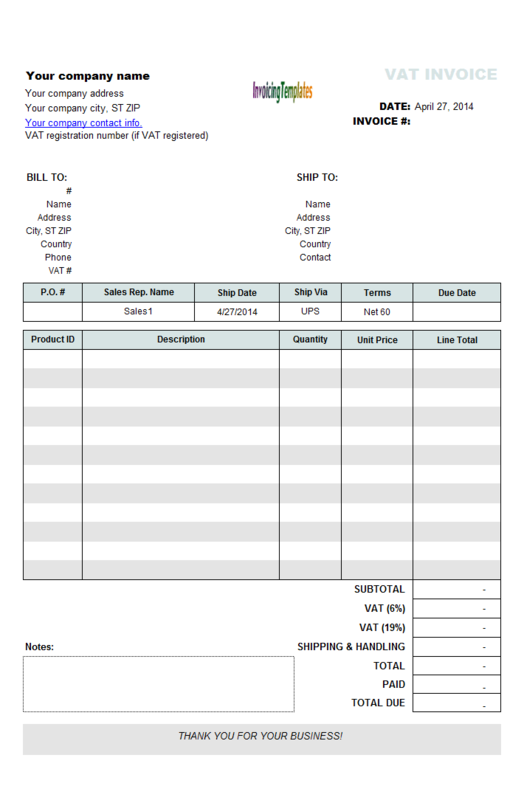 See Invoice Template VAT UK to download it. 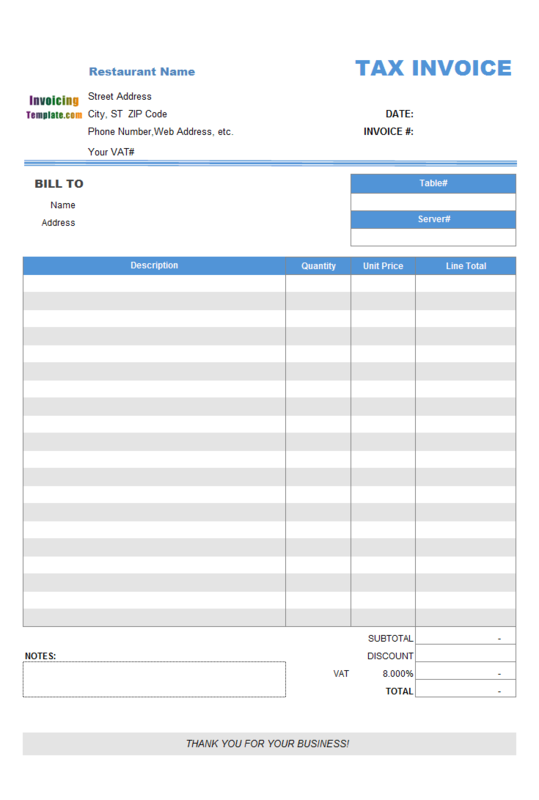 The invoice form has a similar layout as c4010 Service VAT Invoice Template, because the major modifications are made outside of the printable worksheet area defined by the Print_Area range name. 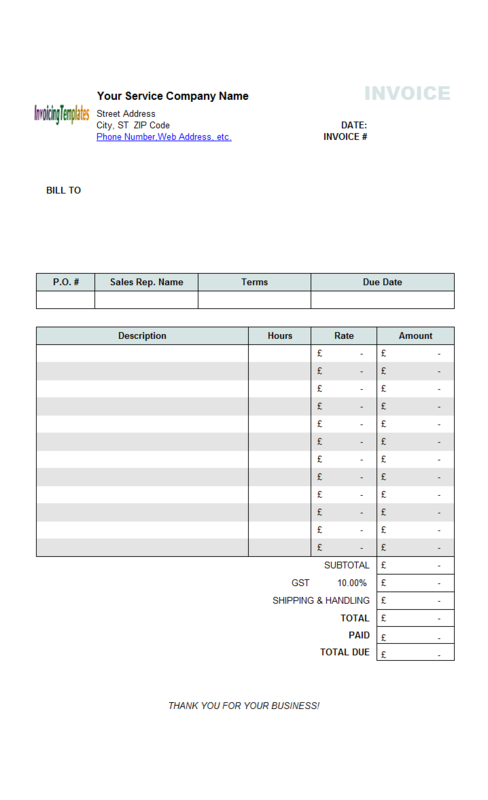 Basically a grayscale styled invoice template for U.K. consultant businesses. The only colorful thing on the printable form is the logo image placeholder. The template comply with the requirements stated at "VAT record keeping" by GOV.UK. 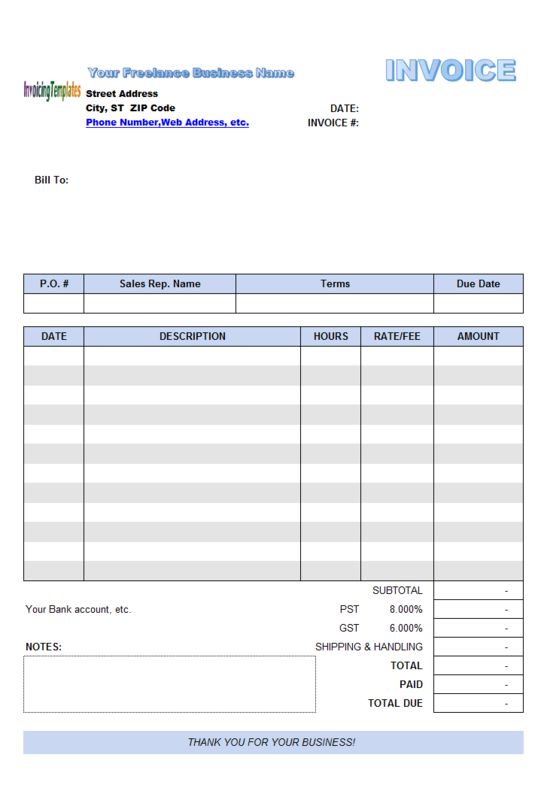 There are many more things you can customize to create your own invoicing template with your very own style, the currency symbol is just one simple example. 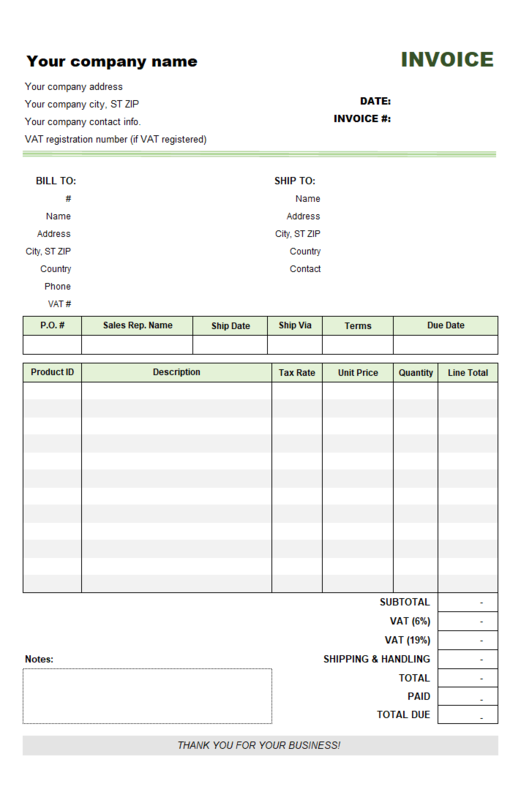 This template is created based on c6011 Sales Invoice Template with Discount Percentage Column. 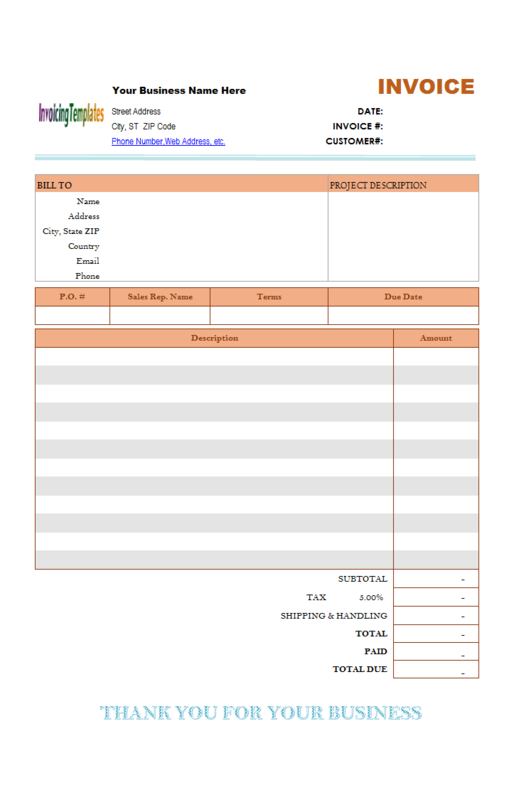 Download and try this template for free if you are invoicing as an individual person. 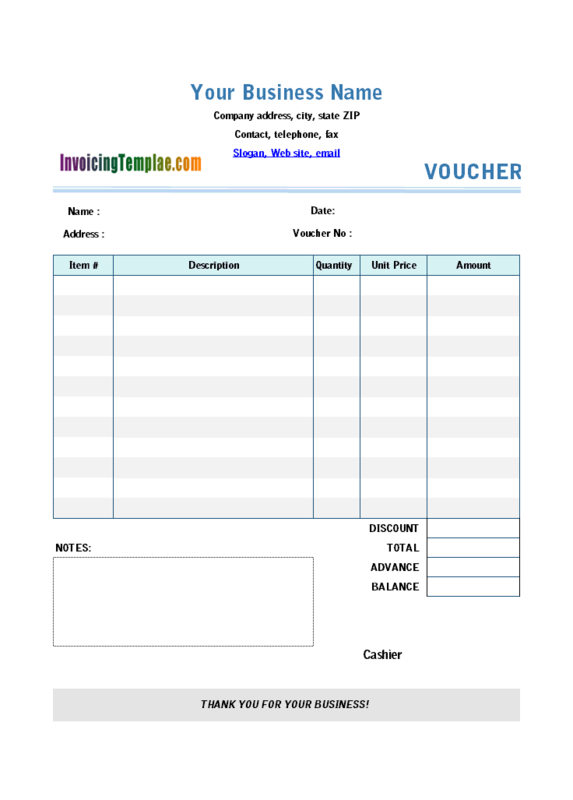 VAT Service Invoicing Sample - Price Including Tax (c6013) is a direct variant of c6007 VAT Sales Invoicing Form - Price Including Tax. It differs from the original free invoicing Sample in that it the shipping address section is now labeled with Service Location. This template might be ideal for UK (United Kingdom) based stores or limited companies. The template shows postcode on a separate line, and an extra column was added for discounting. 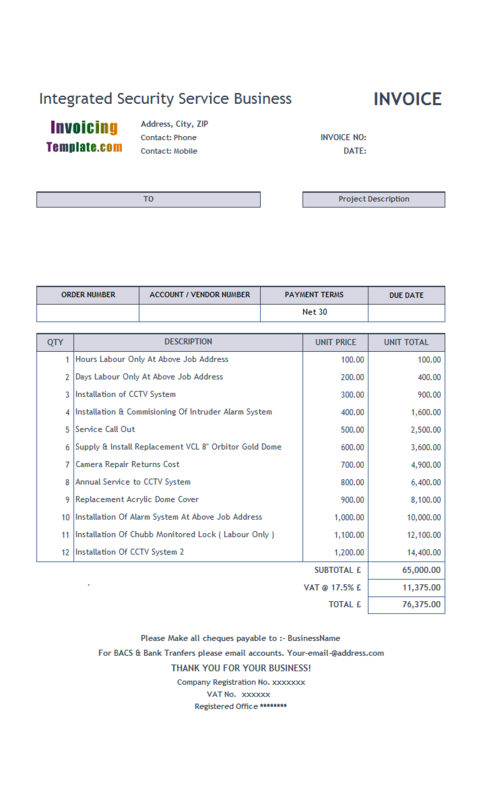 If you are providing integrated security service to your clients, whether it is physical / electronic security services, special event security service, access control solutions, consulting Services, this invoice template could help you create professional bills with easy and quick. 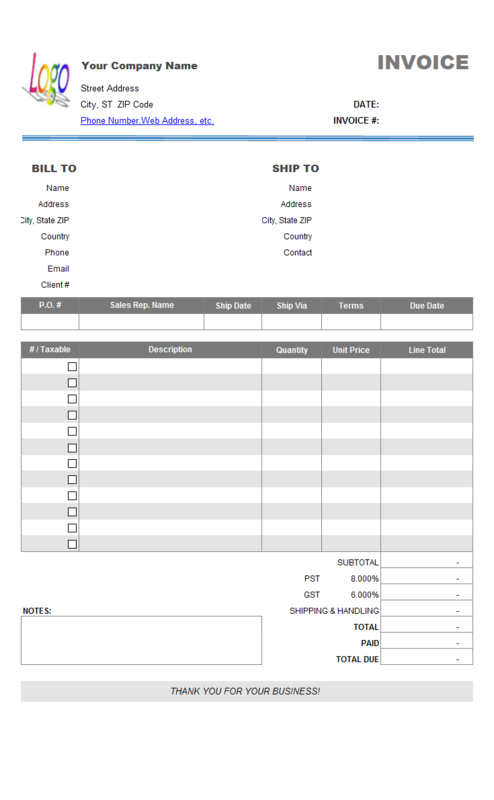 This sample is designed as a sales invoice template, so it includes the shipping address section where you can specify where the goods will be sent to. 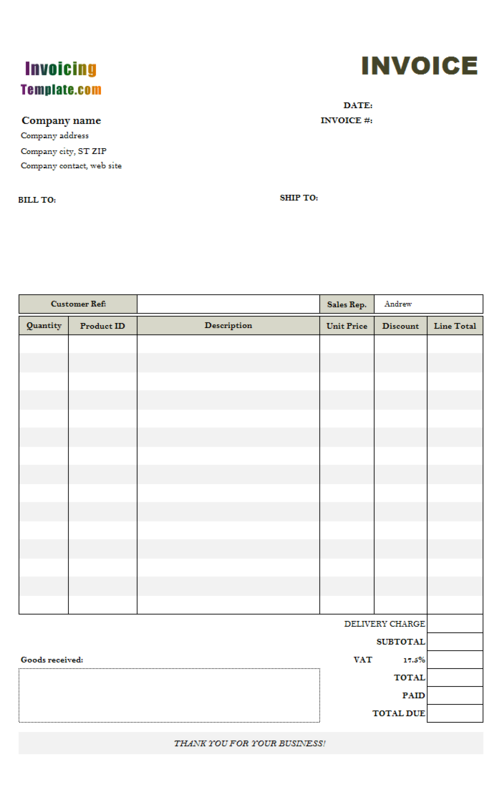 Note that the "Same As Bill To" button that we usually put near the "Ship To" section does not work for this template, as the "Bill To" section uses custom fields for address and postal code information. 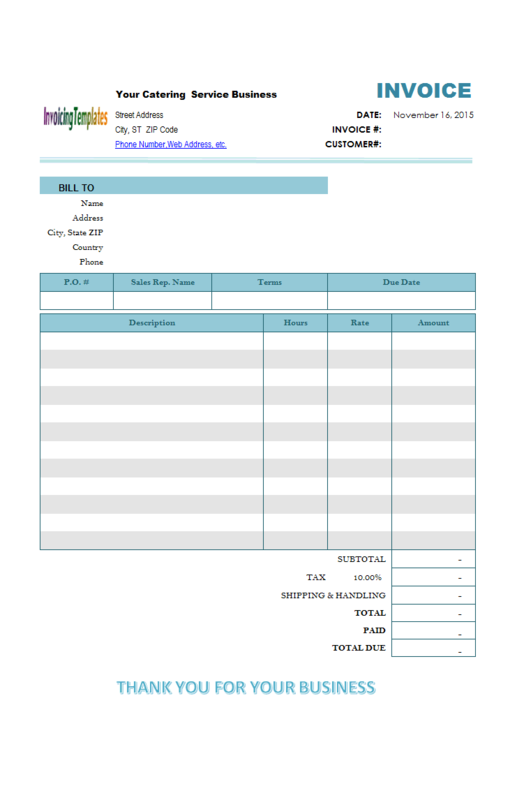 VAT Service Invoice Template - Price Excluding Tax is a sample invoice template demonstrating how to customize an existing invoice template, VAT Sales Invoice Template - Price Excluding Tax, to create a new design that meets your requirements. How do I replace the default logo image and add company / business information? 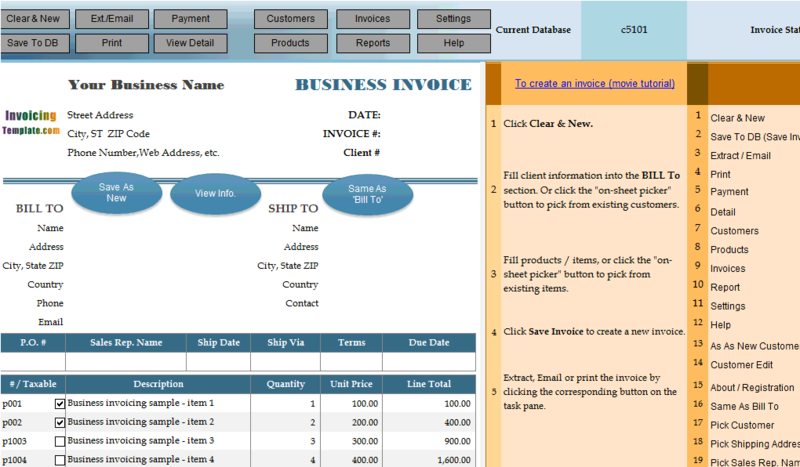 This template added custom fields to Customer, Product, Invoice Header and Invoice Body database tables. 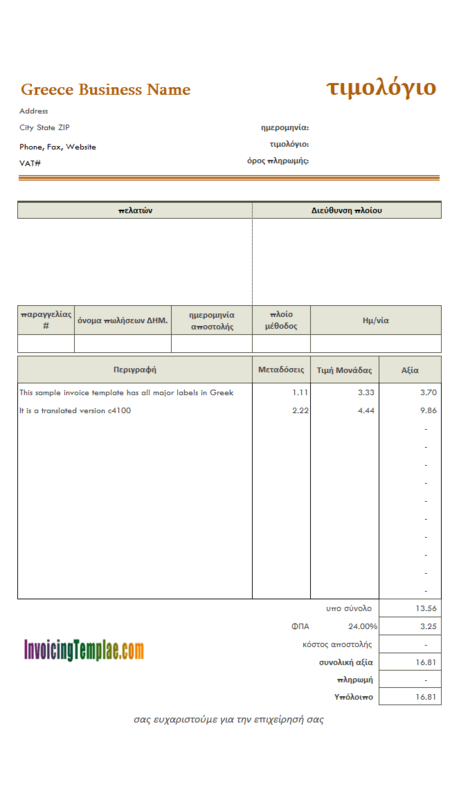 This is a variant of C5005 VAT Invoice Template with 2 Separate Rates. 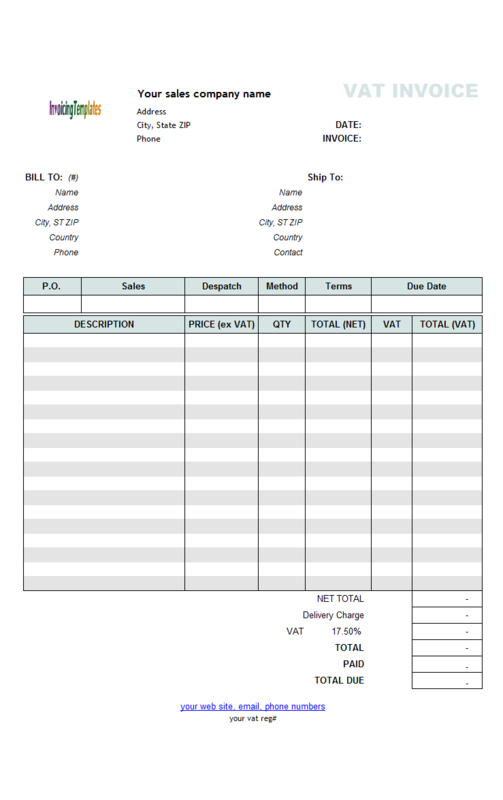 It differs from the original Excel VAT invoice template in that this variant moves in the VAT Rate into the printable Excel invoice form. 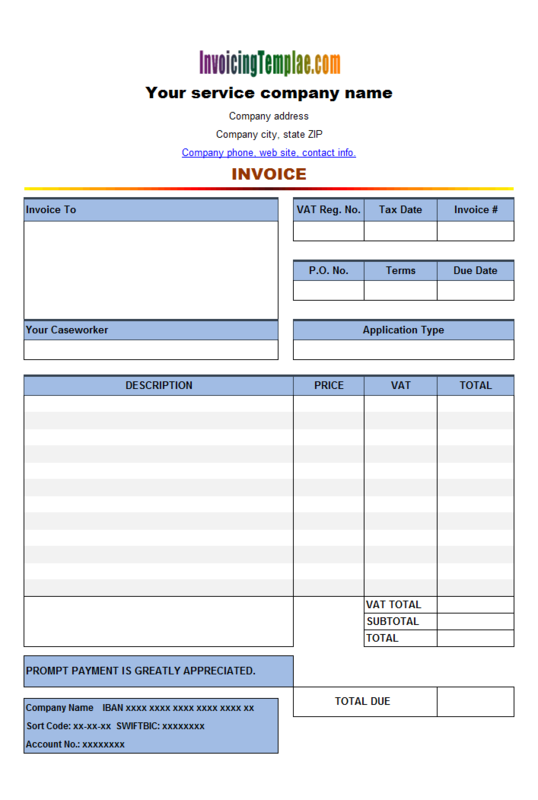 This VAT invoicing template, VAT Sales Invoice Template - Price Including Tax, was originally publish on office-kit.com, at VAT Invoice Template - Price Including Tax, and also our company web site, Invoice Manager for Excel (namely Uniform Invoice Software), Excel Date Picker - Uniform Software LTD, at VAT Invoice (Price including Tax). 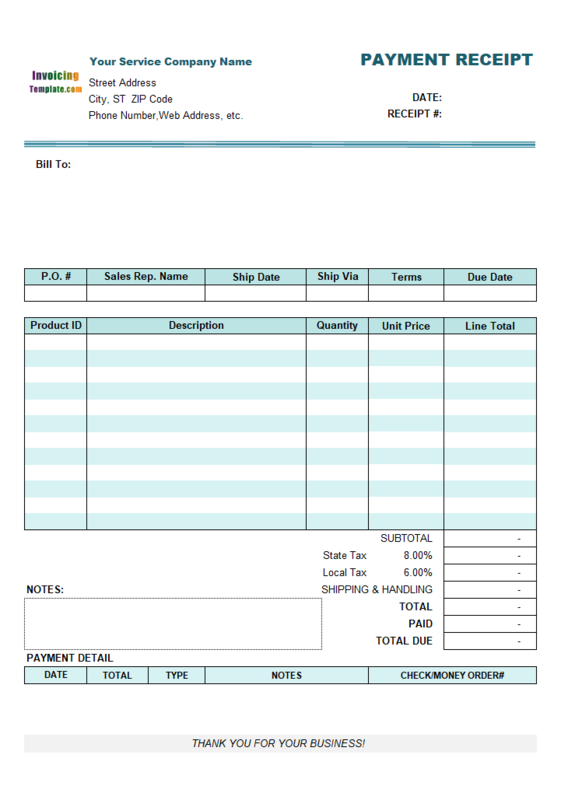 Since the unit price on this free VAT invoicing template excludes VAT, we first calculate the Total (Net) on each line from the Unit Price and Quantity, and then calculate VAT amount based on the Total (Net) and VAT Rate (if that invoicing item is taxable - the "Taxable" checkbox is selected), and finally we add up the Total (net) and VAT amount to get the Total (VAT) for each item. 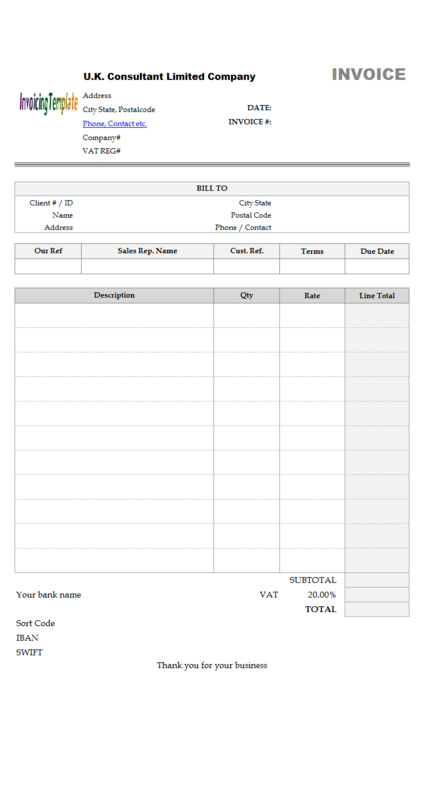 Note If you were coming here when looking for a template for your hotel business, visit Hotel Receipt Template. This template has one tax named VAT set by default. 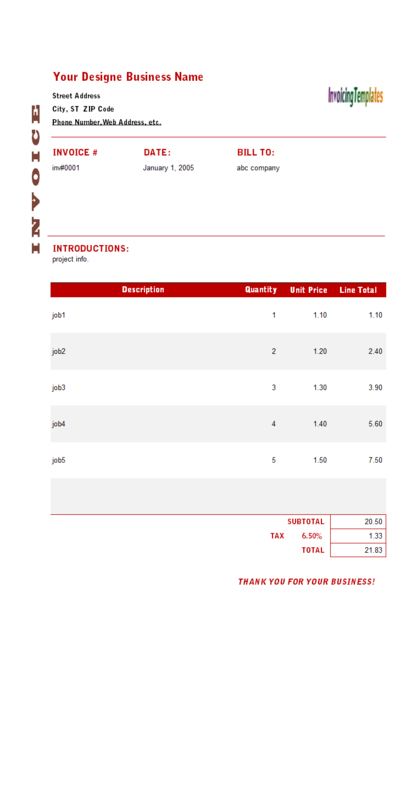 For an edition that has no tax, visit Restaurant Dining Invoice Template (No Tax) here on InvoicingTemplate.com. 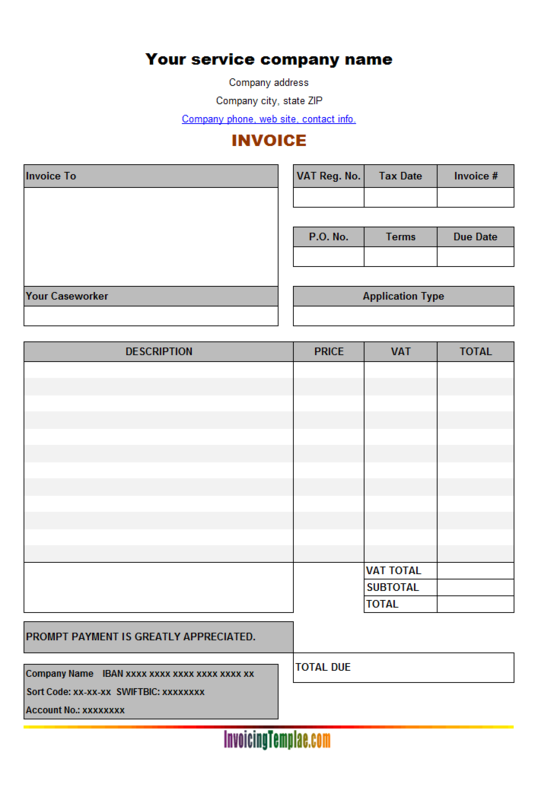 This invoice design has 6 columns on the invoice detail section - Description, Date, Hours, Rate / Fee and Amount. The Amount is calculated automatically using Excel formulas once the Hours and Rate / Fee are filled in. 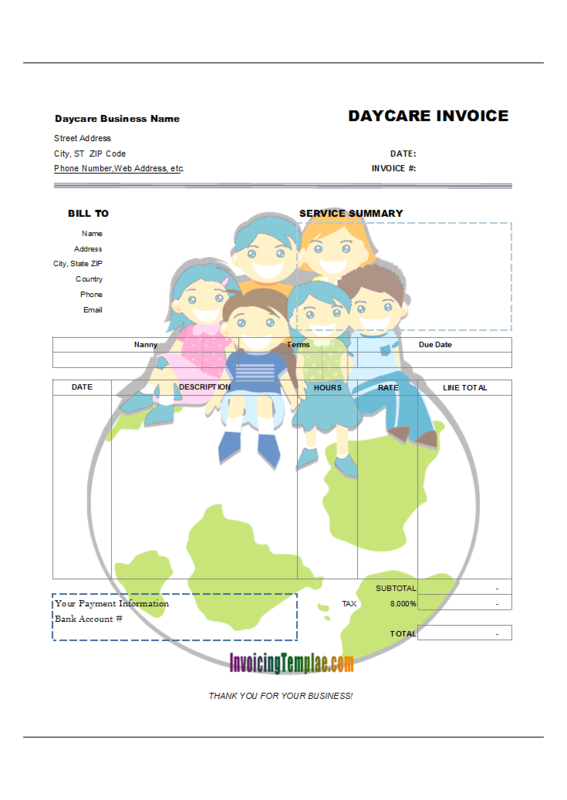 The other 5 columns, Description, Date, Hours and Rate / Fee are all fillable in this invoice format. 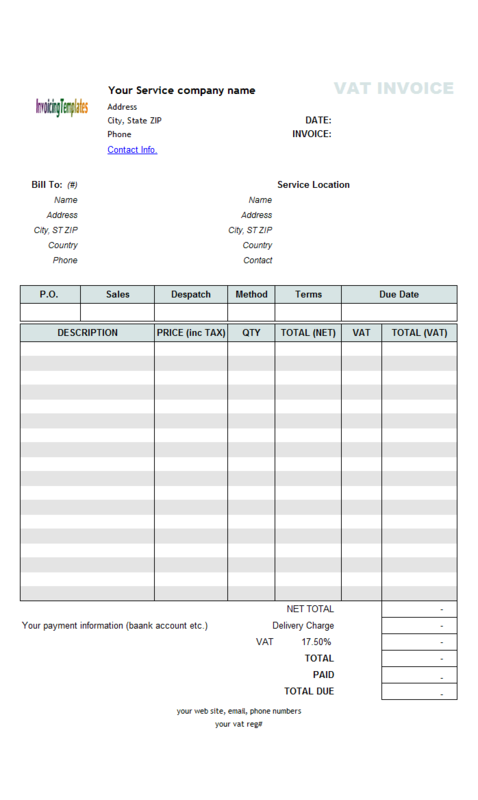 As you can see from the screen shots below, this is basically a hourly service invoice template, like Hourly Service Invoice Template. 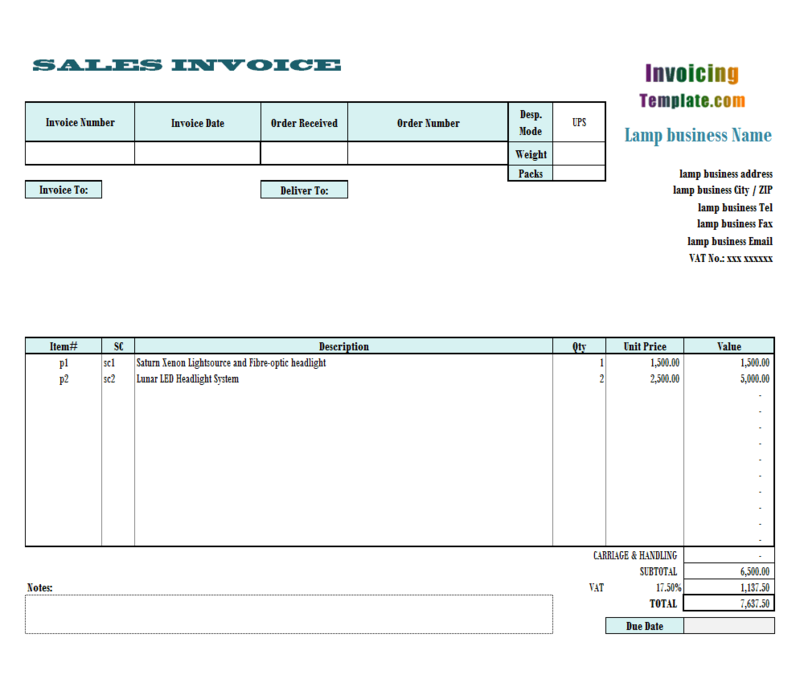 You can also find other interesting invoice template in the Consulting Invoice Template category or Service Invoice Template category here on InvoicingTemplate.com, including those designed specially with UK (United Kingdom) style. 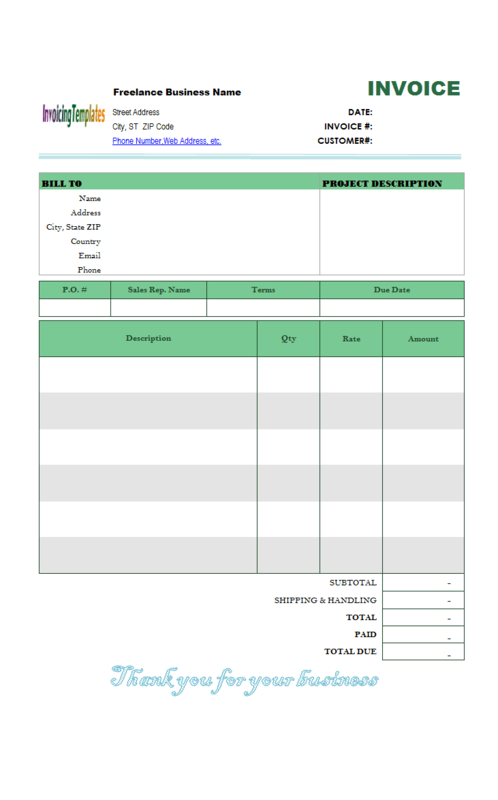 All templates available here on InvoicingTemplate.com are in Microsoft spreadsheet format, including this template - Professional Freelance Bill or Professional Freelance Billing Format. 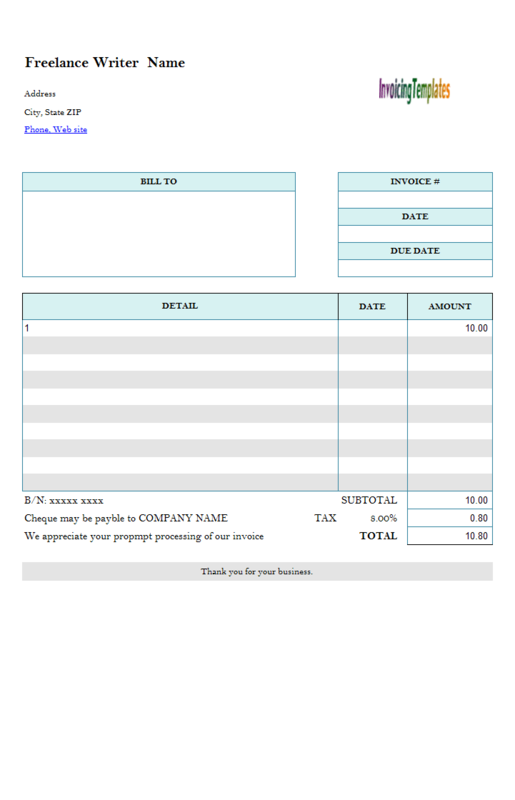 On the Internet you may find that there are freelance invoice template in Microsoft Word format or Google Docs too. But Excel formatted spreadsheet format has its unique features. For example, you can easily apply formulas to do calculations. 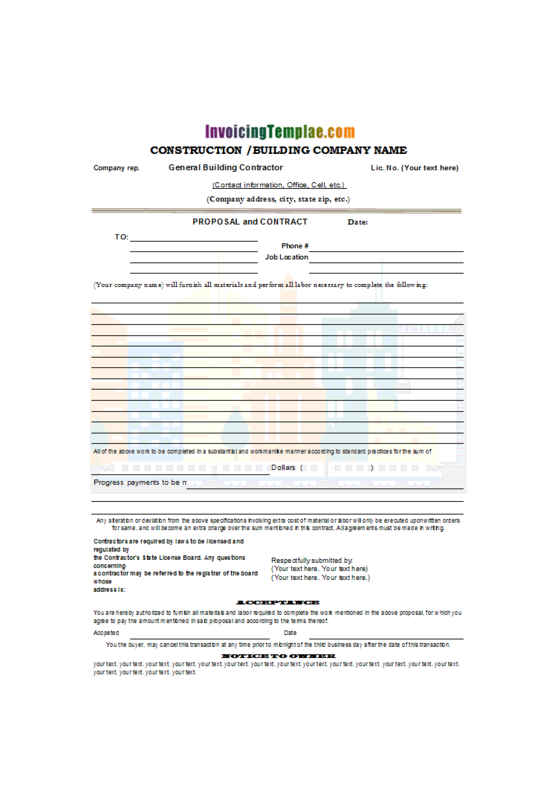 When creating an invoice, be sure to include your contact information. Put your name, address, phone number, email address, and even your website at the top of the invoice. If you are USA-based charge over $600 over the course of the year, you'll probably need to give your client your business's Federal Tax ID number (so they can send you a 1099-MISC, see Form 1099-MISC, Miscellaneous Income - IRS.gov, or Form 1099-MISC - Wikipedia). To convert an Excel workbook or template from ".xlsx" to ".xlsm" format, simply issue the "File" and "Save As" command. We'll skip the detailed steps here as there are already many resource online, such as Create a Macro in Excel - EASY Excel VBA, and How to Use Macros in Excel: 15 Steps (with Pictures), and Quick start: Create a macro. 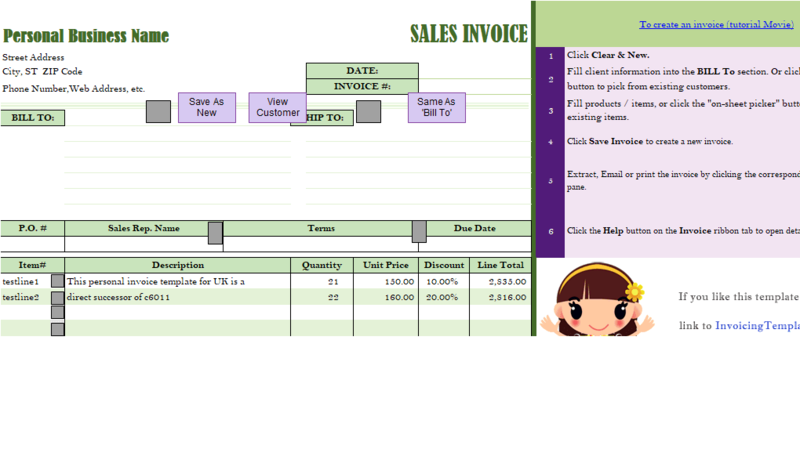 The "Invoice" ribbon is created by Invoice Manager for Excel (namely Uniform Invoice Software) (UIS) - i.e. you have to install UIS in order to have Excel show the ribbon tab. 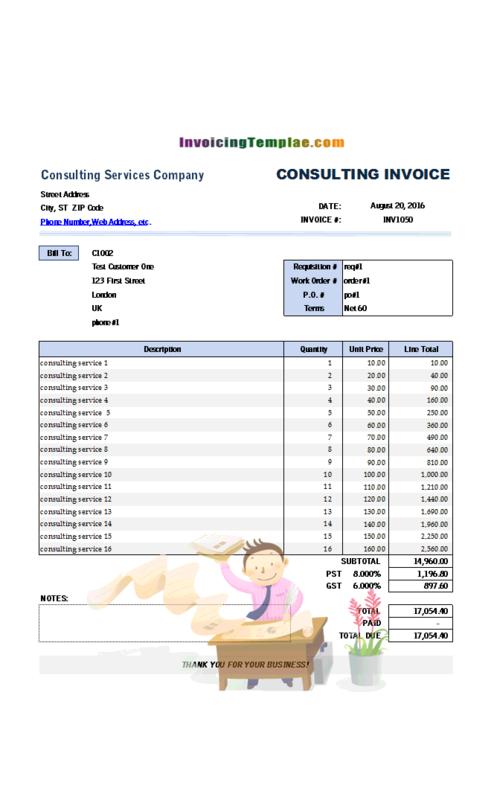 This ribbon tab provides global commands, that are available to all the worksheets in the Excel spreadsheet template, such as "Customers", "Products", "Invoices", "Reports", "Settings" and "Help"; there are also shortcut to commands that affect the working mode the invoicing form, such as "Hide Task Pane", "Disable On-sheet Picker", "Design Mode", "Replace Logo Image", "Add / Update PayPal Button", etc.